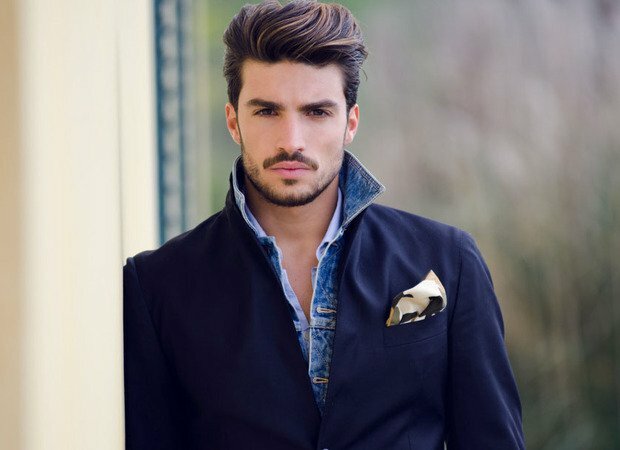 A dramatic style where hair is swept up high and away from the face, the pompadour hairstyle has seen many incarnations in both men and women’s styles for hundreds of years. 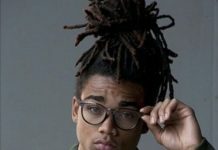 In modern men’s hair, the trend towards vintage inspired styles has created a resurgence in the pompadour styles made famous by ’50s greaser culture, and icons like Elvis Presley and James Dean. Because they involve styling hair against it’s natural tendency to fall downwards, wearing even the most casual pompadour haircut requires some styling effort. If you hate blow drying and using products, this isn’t the style for you. But if you’re looking to up your style game or try out a completely new look, we’ve compiled 30 of the best pompadour haircuts to show you all the different ways to wear the style. 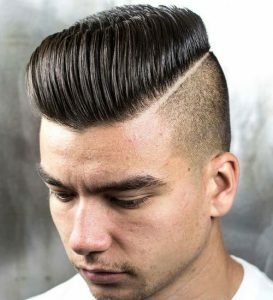 Instead of slicking hair sharply into place, this pompadour features soft styling that allows for some movement while still getting lots of height. The back and sides of this look are cut in a fade style, which makes for quicker styling time than a traditional pompadour. 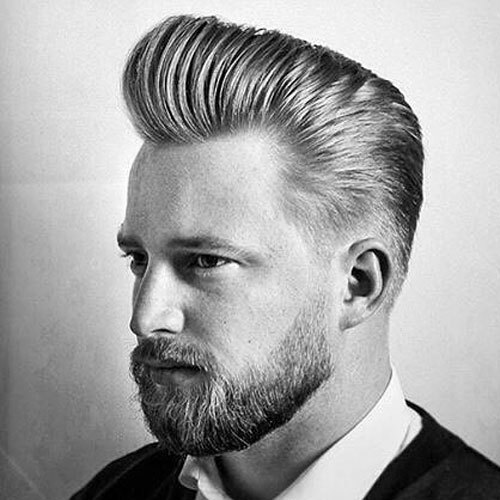 This classic pompadour haircut features hair that tapers in length from front to back, creating a slanted silhouette when styled into place. 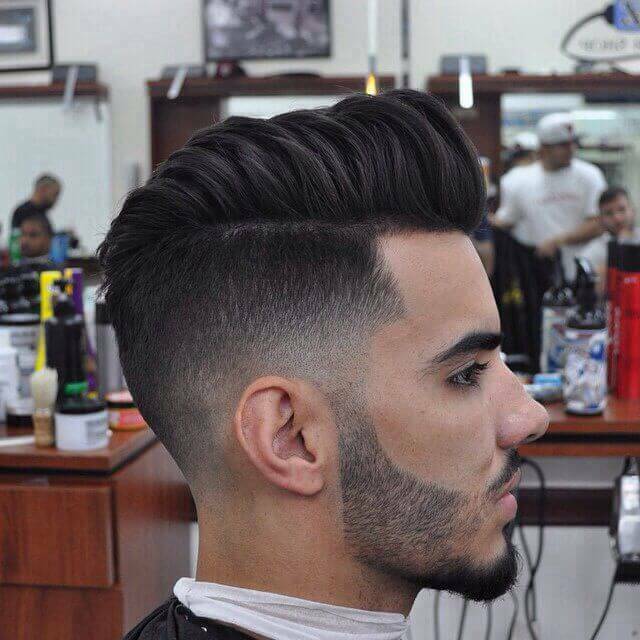 Hair that gently tapers at the sides helps to make this look manageable while avoiding the close cuts of a skin fade or undercut. 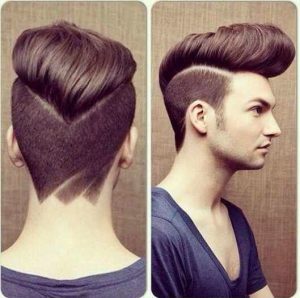 In this relaxed pompadour, hair is styled up high but looks more tousled than rigidly sculpted into place. 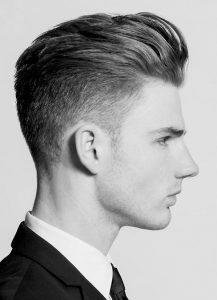 If you’re thinking of making a pompadour your everyday style, this is one of the most manageable ways to wear the cut. Straight out of the ’50s, this is a full on throwback look that can be challenging to style with a modern wardrobe. We love it when paired with classic pieces that never go out of style, like button down shirts, dark denim, and of course, a leather jacket. 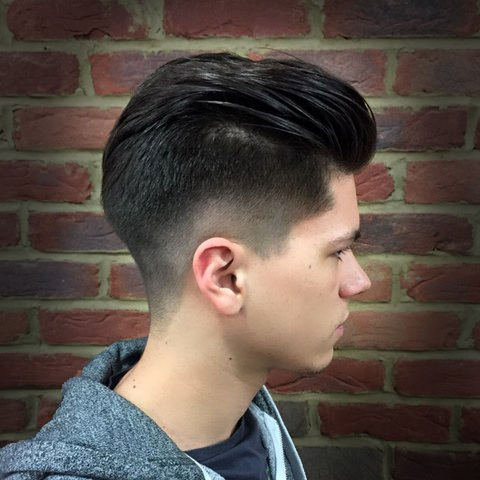 This pompadour fade has a dramatic shape thanks to a hard part that’s shaved into one side. 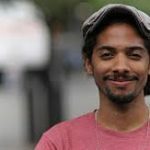 If you’re not sure if this style is for you, we recommend trying out a softly parted style first, as this razor part requires frequent maintenance and can be awkward to grow out. With a tapered fade on the sides and longer hair on top that’s got a pompadour shape without a heavily slicked look, this cut shows how to go more casual and low-key with your pompadour style. 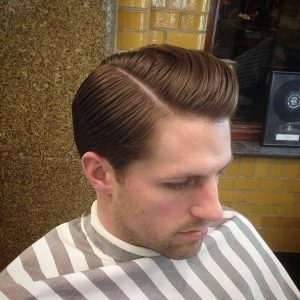 Most modern pompadour haircuts have some version of a fade or undercut incorporated, but this pure vintage style features only slightly shorter hair at the sides. 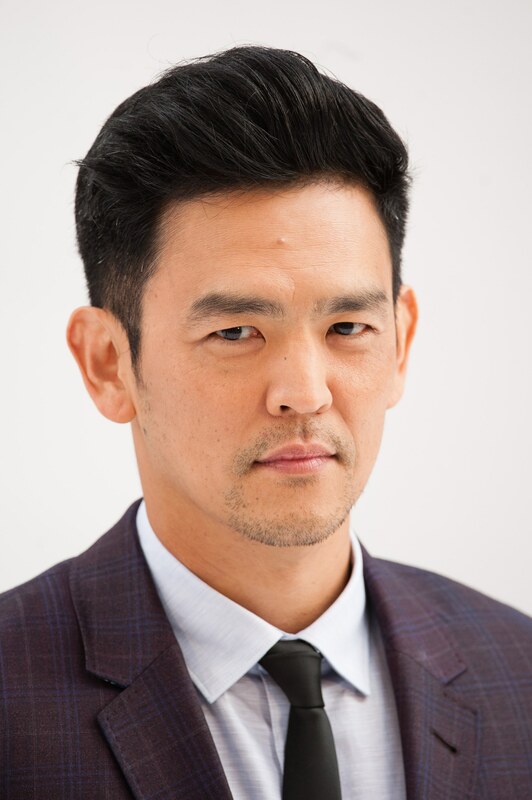 If you’re really committed to an authentic vintage look, this is the haircut for you, but be prepared to spend more time styling your hair in the morning. Complete with sculpted facial hair and an expert fade, this mohawk fade pompadour is ideal for hair aficionados who want to show attention to detail in every aspect of their appearance. 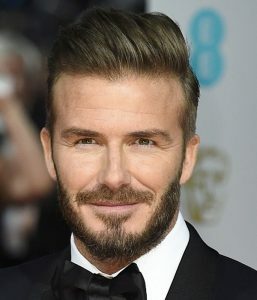 Style icon David Beckham puts his own classy spin on the pompadour style. 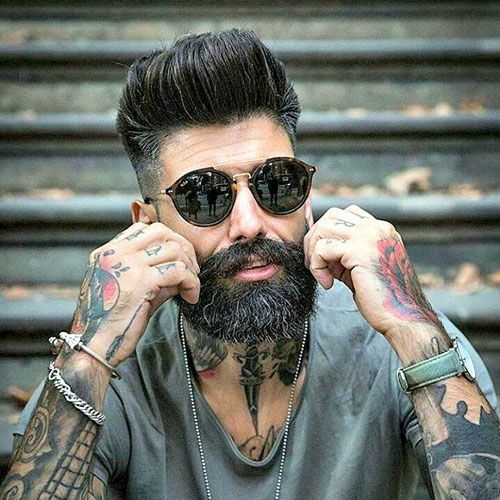 By combining it with some trendy scruff instead of a large beard or clean shaven face, this style walks a fine line between looking pure vintage and ultra hip. 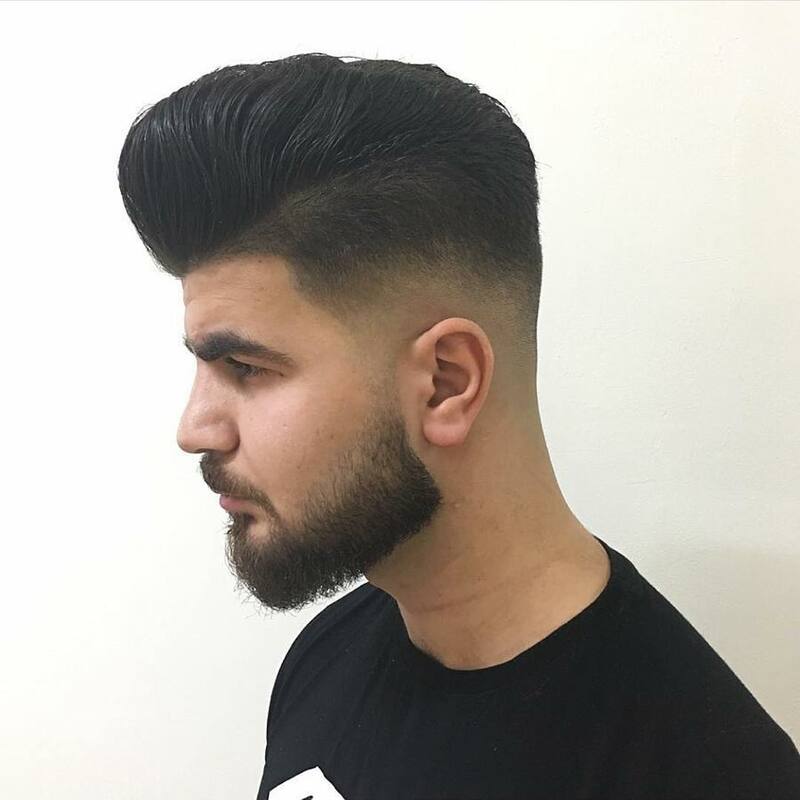 Featuring a bold contrast between lengths, this pompadour style goes for maximum height on top, with some pieces being styled almost straight up. 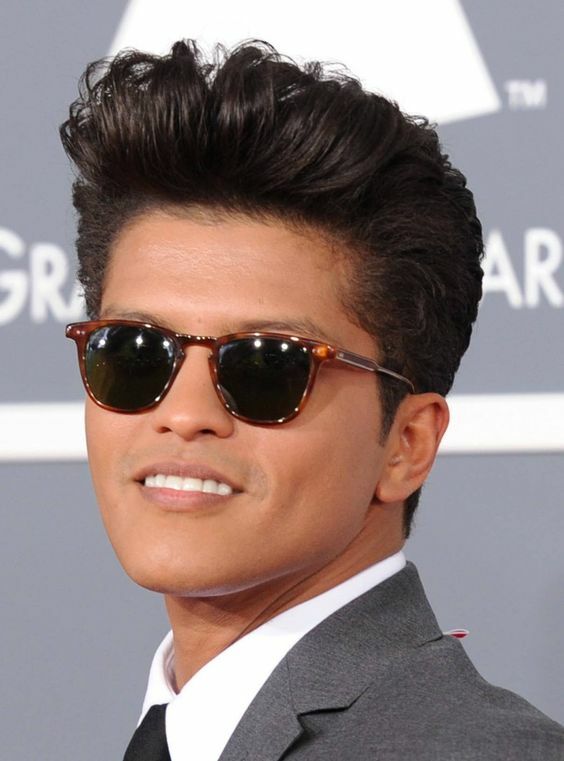 Singer Bruno Mars brings tons of retro style to his art, and usually has the hair to match. 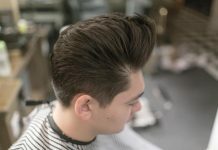 This old school pompadour is brushed up into an impressively high volume style, but still shows off some of his hair’s natural curly texture. 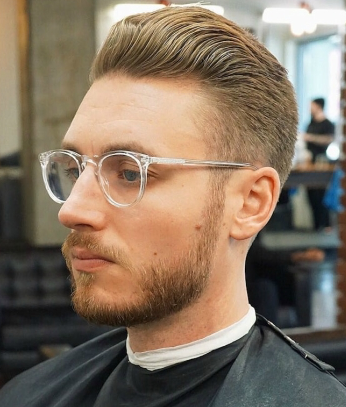 Rising only a few inches above the head, this shorter pompadour is a good way to try on the style before committing to something longer that needs more care and attention when styling into place. Instead of styling hair straight up and back, this pompadour incorporates a fun swoop into its style. 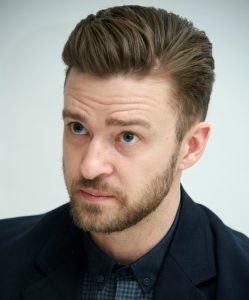 You can get this look with most pompadour haircuts, and it doesn’t need to be your everyday styling technique if you’d rather save this fancy style for special occasions. Not your typical fade, the lower half of this haircut adds tons of visual interest to the style. 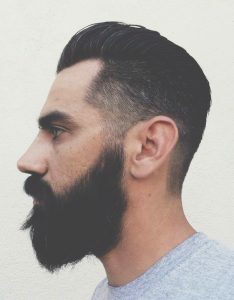 This is a practical choice for guys with coarse hair that tends to look scraggly around the ears when it grows out, and lets you go longer in between trims. With hair that looks bouncy and soft to the touch swept dramatically upwards away from the face, this pompadour is an impressive styling feat. Even if you’ve got the right haircut, you’ll need to blow dry this style into place, then finish off with a light product that won’t lock hair into one stiff position. 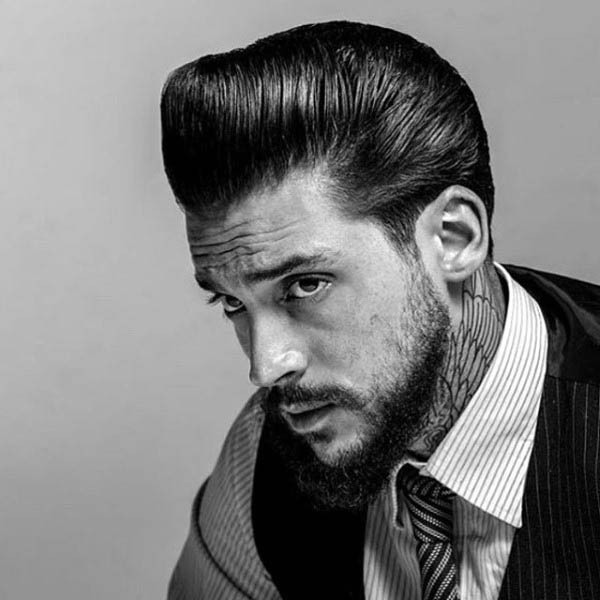 This classic pompadour on top is combined with faded sides and a beard to make it more modern. Showing greys shouldn’t hinder your style choices, and we love the salt and pepper coloring being embraced with this haircut. Singer Miguel’s pompadour is styled in an ultra modern way, featuring a crisp fade and shaved line detail. If you’ve got naturally curly hair, you’ll probably need a blowdryer and flat iron to get your hair into this shape. 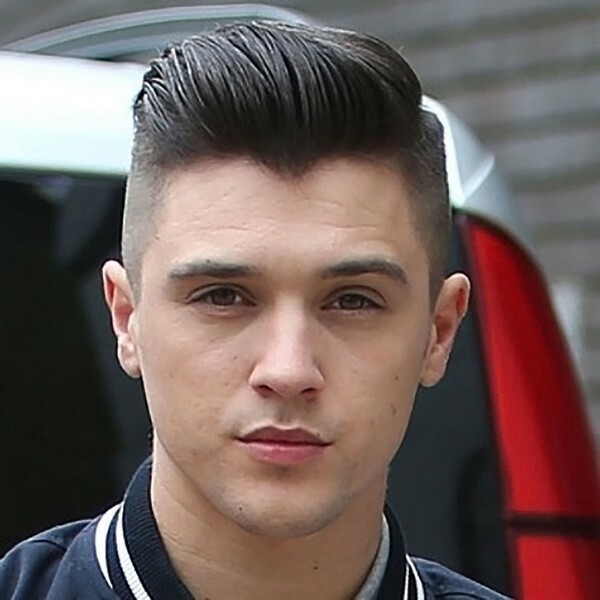 Unlike a pompadour fade where hair at the back and sides are tapered down to a shorter length, this undercut style features a very short uniform length all the way around. The end result is a more dramatic contrast between the two sections, especially when they’re divided by a hard part as pictured. Thick hair provides tons of material to work with when styling a pompadour, and is nicely combined with faded sides to make styling take less time. 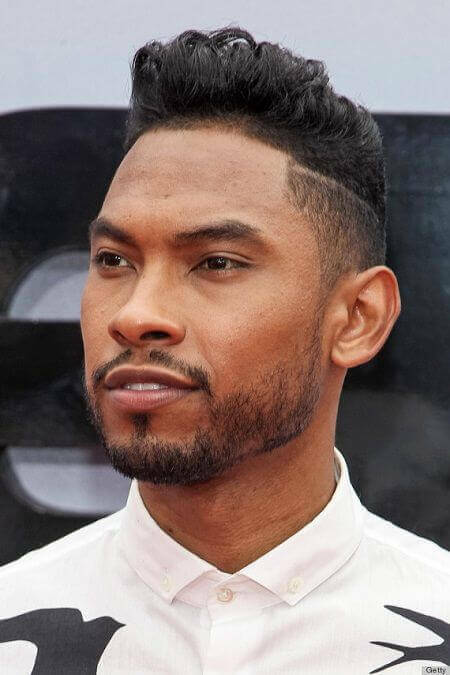 If you have trouble getting your thick hair to stay in place, ask your barber to add some texture to help remove some bulk from your hair while keeping the same overall shape. 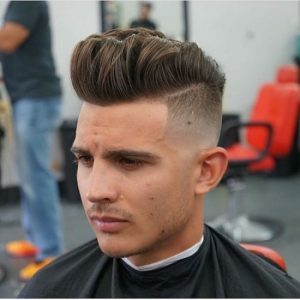 Putting up a big wall of hair, this high pompadour is an attention grabbing style that will help your face look longer and more slim, especially when combined with a skin fade at the sides. 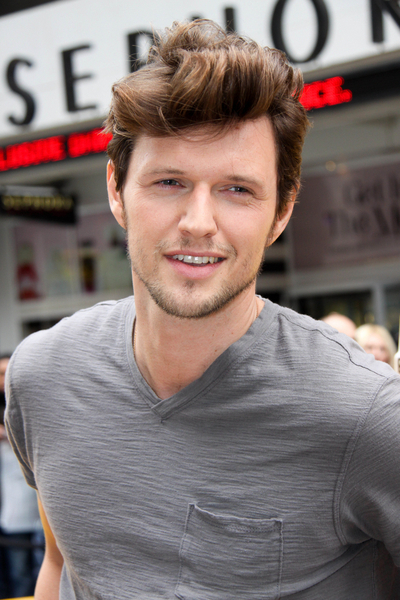 This pompadour is more casually styled, making it an easier look to maintain on a day-to-day basis. 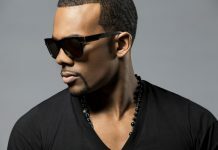 The low fade keeps things looking clean around the ears and back of the neck without making a dramatic statement. This pompadour is combed over to one side, helping it to look more modern than a style that’s harshly slicked back. A high and tight fade makes this a favorite pompadour haircut among young men, as closely cropped sides are still the most popular style for them to wear. 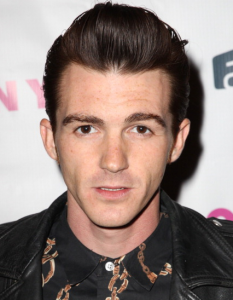 This pompadour style is a bit different, because the longer pieces of hair on top don’t extend quite as far back. 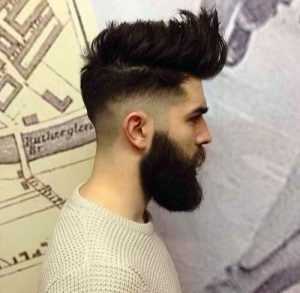 The resulting haircut is easier to style, because the back won’t ever be a concern. 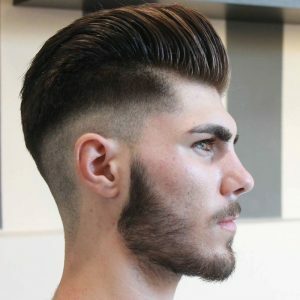 If you’ve been thinking about a pompadour haircut but are afraid of looking like you’re wearing a vintage costume, this is the style for you. 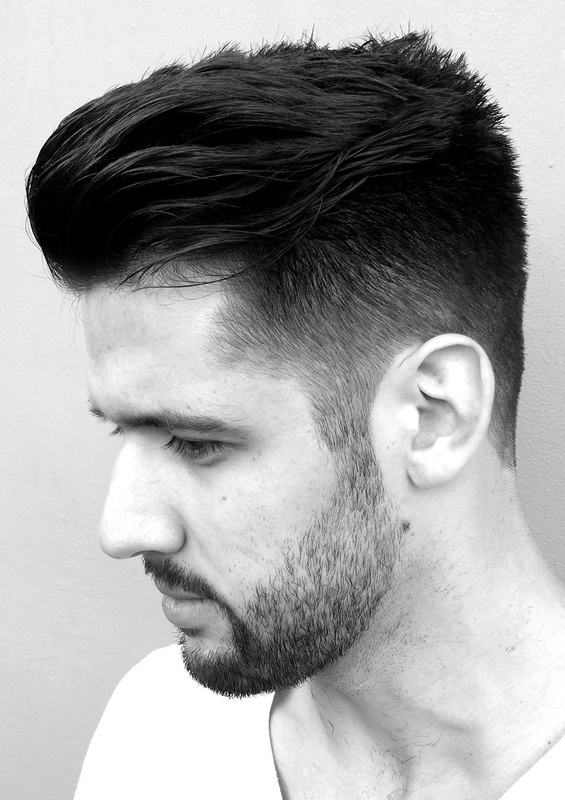 This pompadour cut has dramatic shape up top, while tapered sides help retain an air of stylish professionalism. Zac Efron is known for his many messy hairstyles, like this young, fresh spin on the classic pompadour. Instead of slicking back hair at the sides, they’re pushed towards the face for a style that’s easy and fun. 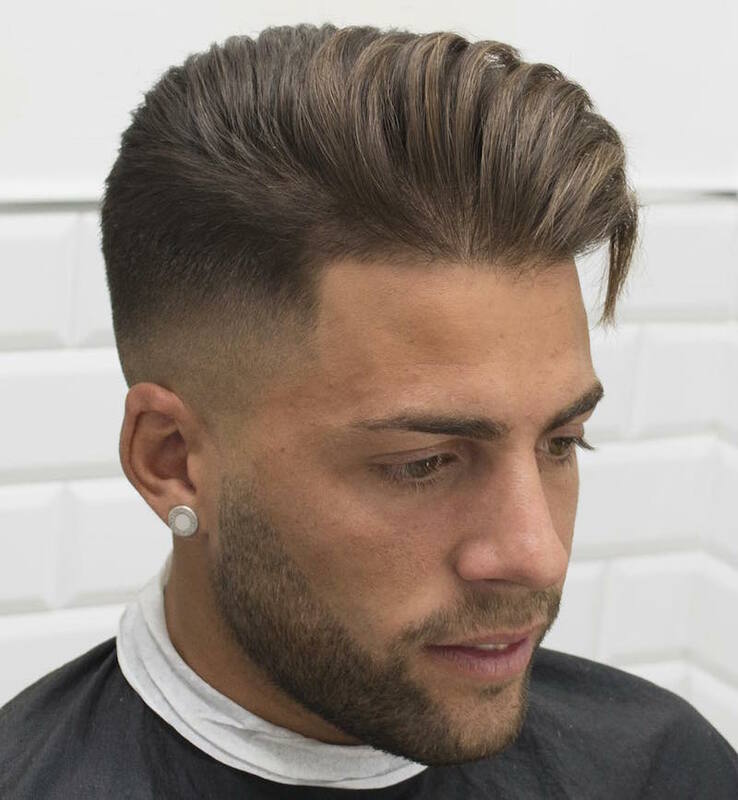 This laid back haircut is one of the shortest pompadours on our list, and it tapers in length from front to back, meaning there isn’t a large section of hair that needs to be styled into place. 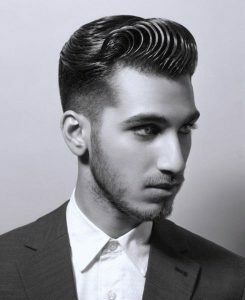 This vintage look features a defined part, creating a pompadour that’s combed over to one side, while hair on the other side is slicked downwards. 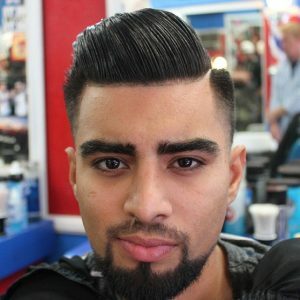 Try this style out if you’re having trouble training your hair to stay slicked straight back, or if you’re looking for something a little softer than a more dramatic, pushed back style. This hair is messily brushed back, giving it a pompadour silhouette without the sleek look of every hair being perfectly in place. 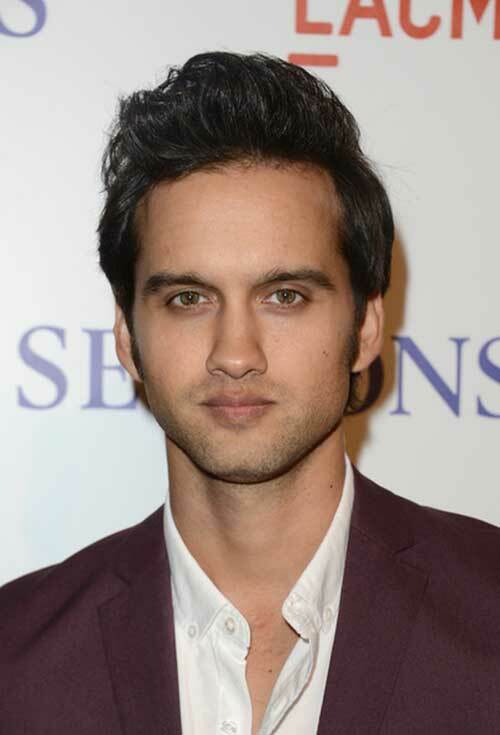 The result is a wearable, everyday look that works especially well for men with wavy or curly hair. This dramatic pompadour is a gravity defying work of art that will bring tons of attention your way. The evenly undercut back and sides mean that you can spend your time styling the rest of hair into place, while the line details at the nape of the neck add extra visual detail. Justin Timberlake’s modern pompadour style is dapper and clean looking, featuring gradually tapered sides and a soft side part.